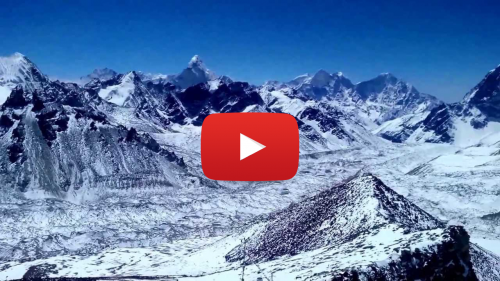 Ever had a desire to challenge with a tough walk over high Himalayan passes? 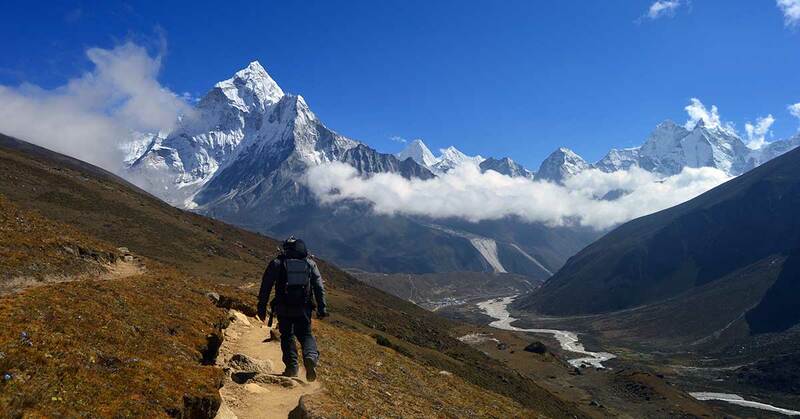 Three High Pass Trekking challenges adventurers with walk over three high Himalayan pass along with trek to Everest Base Camp. 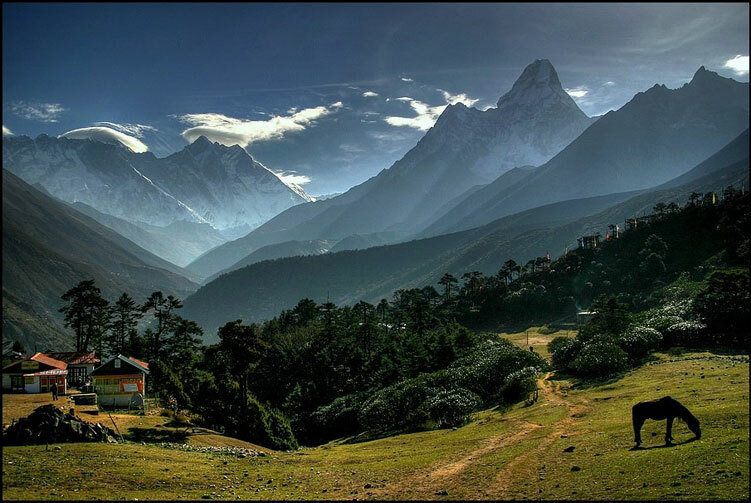 This wonderful adventure trip goes in the Khumbu region of the Himalayas taking you high over the Himalayan passes with breathtaking views. 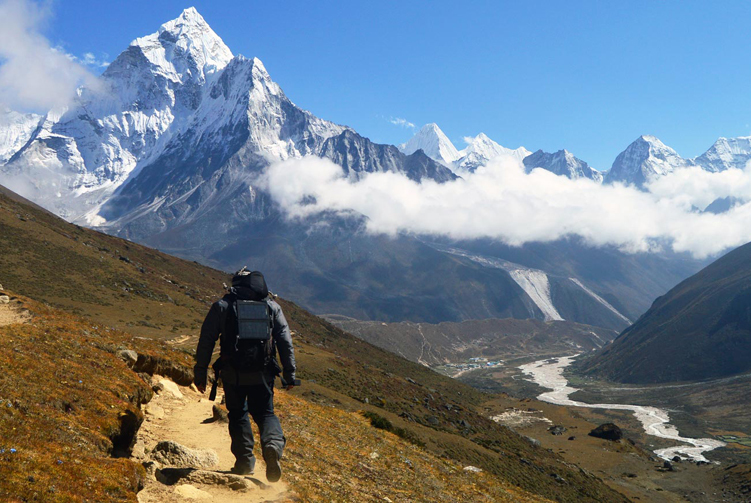 A demanding walk in the Himalaya has so many wonderful riches to enjoy despite the challenges it involves. 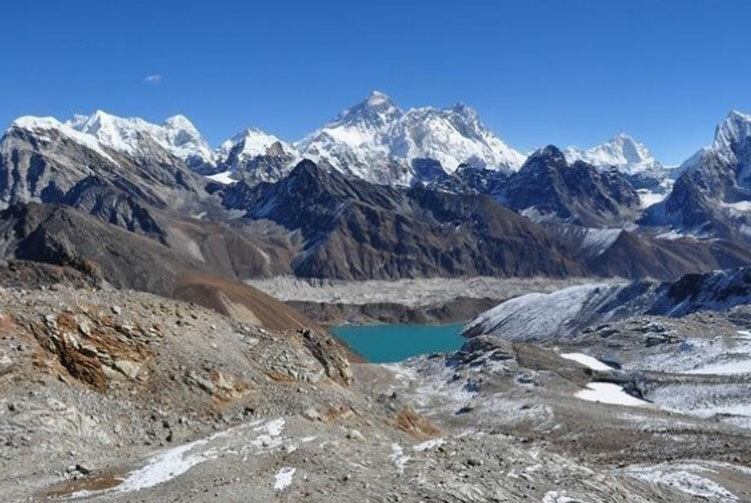 Trekking over Renjo La (5,345m), Cho La (5,420m) and Kongma La (5,535m) is an adventure that brings a thrilling experience of trekking deeper into the high Himalayas. 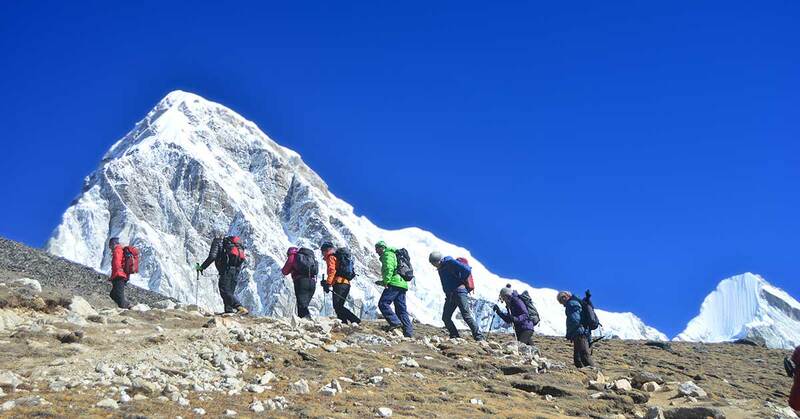 Apart from crossing three high passes, this adventure journey takes you to the famous Everest Base Camp (5,364m) and to Kalapatthar (5,545m) as the highest point of the trek. 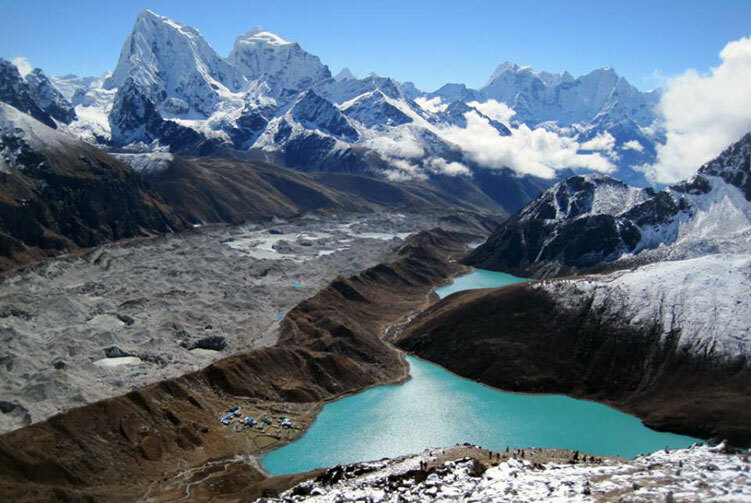 Exploration of Himalayan lakes, glaciers and Himalayan life is another charm of the trip. Several different experiences at one go. 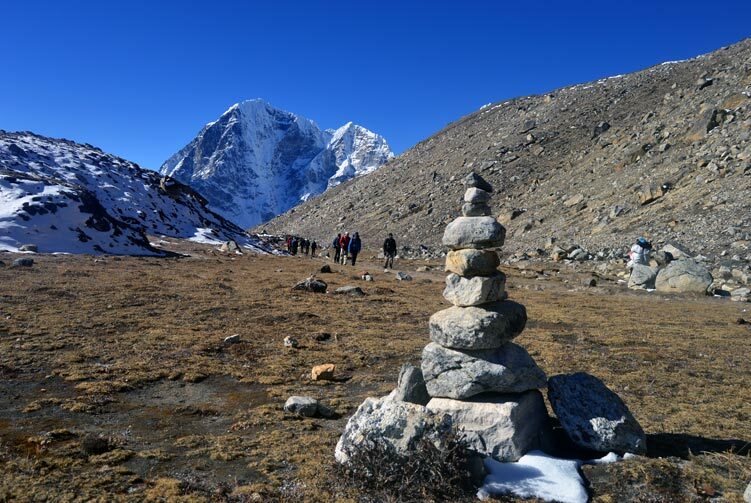 This adventurous Three High Passes trek in the Everest region satiates your hunger of adventure walk and gets you such experiences that you will cherish in life. The peaceful walk in the wilderness of the mountains continues further towards Lungden today. The walk of the day takes us to the elevation of 4,380 meters above sea level for overnight stay. It's a quiet walk with fewer people along the trail. The landscape changes as we walk higher. We stop at Marlung for lunch before moving towards Lungden. 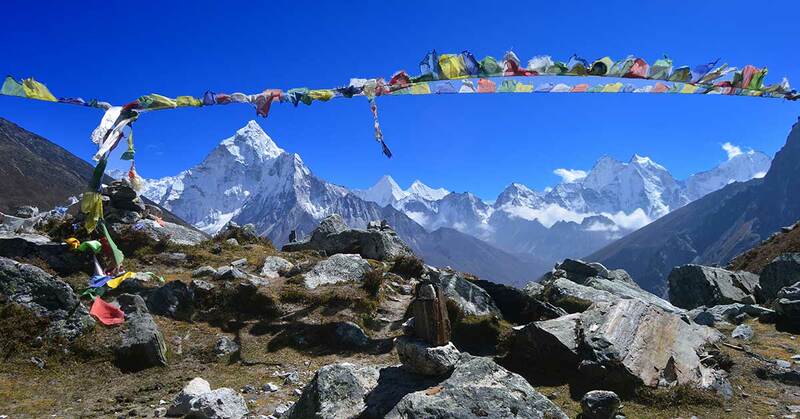 Lungden is a small settlement with few guest houses to accommodate trekkers. We stay here and take a much needed rest to go for a challenging walk over Renjo La pass tomorrow. Overnight at a lodge. An adventurous day is ahead of us today. A challenging uphill walk early in the morning tests us before reaching Renjo La. We need to face the steep uphill walk just near the Renjo La pass. 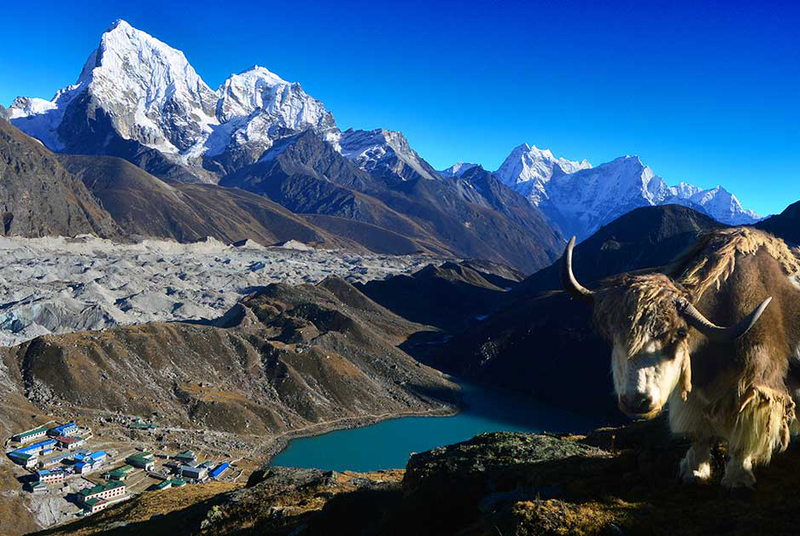 Although the trail to Renjo La feels challenging, it rewards us with the fabulous view of mountain panorama and Gokyo lakes. After spending some beautiful moments at the pass, we start descending down towards Gokyo. 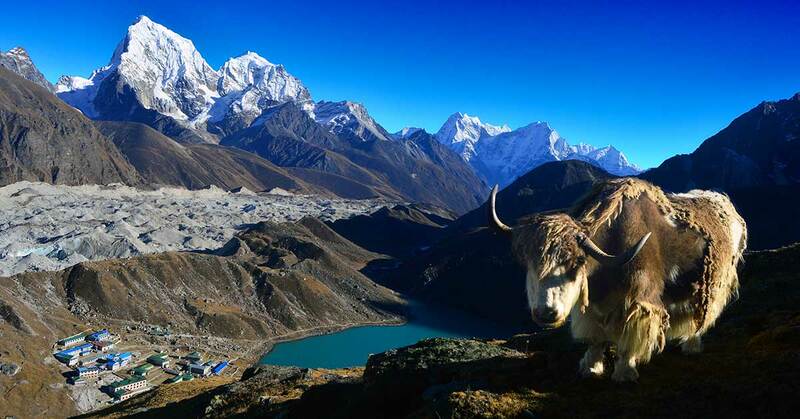 We reach Dudh Pokhari, the third of five lakes in Gokyo and stay overnight there. Overnight at a lodge. We watch the sun rise beautifully over the magnificent mountains; take picture of the mountains and the sunrise and, later on, return back to lodge at Gorakshep for breakfast. Hungrily devouring the breakfast, we fill up ourselves with much needed energy to go back. We are trekking to Lobuche today. Overnight at a lodge. We are going to cross third pass and the highest of all three passes. The walk to the pass is a strenuous uphill challenging walk towards Kongma La that stands at the elevation of 5,535 meters above sea level. The trail that leads us to the pass is pretty tricky but the views take our breath away. 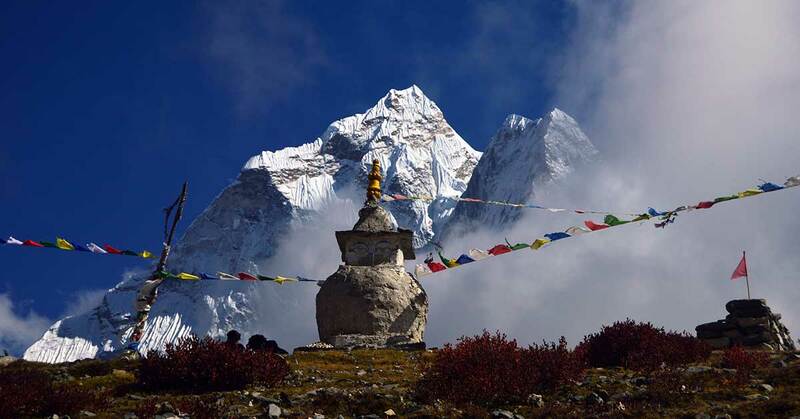 Two 8,000 meters mountain, Lhotse and Makalu, stand impressively tall along with other mountain peaks in the region. After crossing the pass, we descend gently down to Chhukung to stay overnight. Overnight at a lodge. We trek to Imja Khola from Chhukung after breakfast. 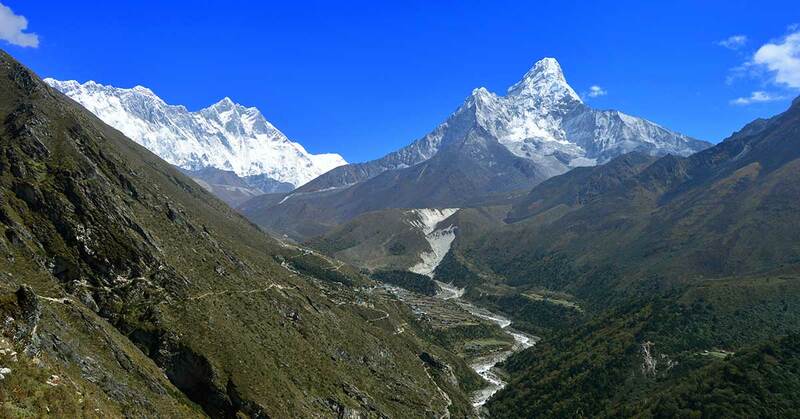 After crossing Imja Khola, we walk uphill towards Pangboche village as our destination for the day. We reach Pangboche village in the afternoon allowing ourselves sometime to explore around Pangboche and a monastery there. Overnight at a lodge. 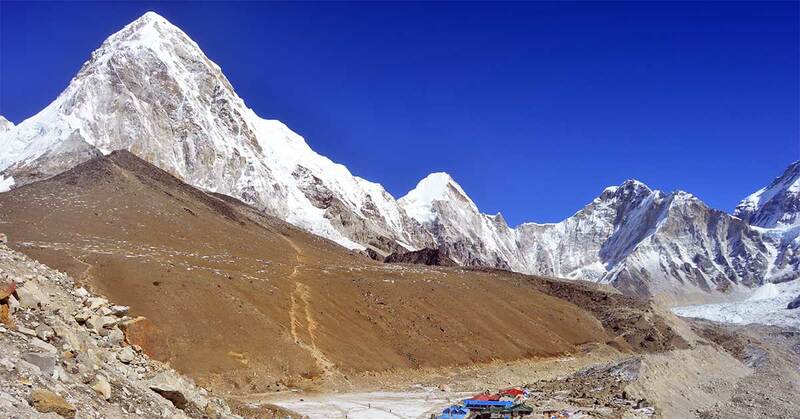 We offer you the best price guaranteed for Everest 3 High Passes Trek.